I love Christmas! Christmas Magic, feeling filled with love and joy, spending time with family and friends, decorating, baking and cooking; and living in New England snow! 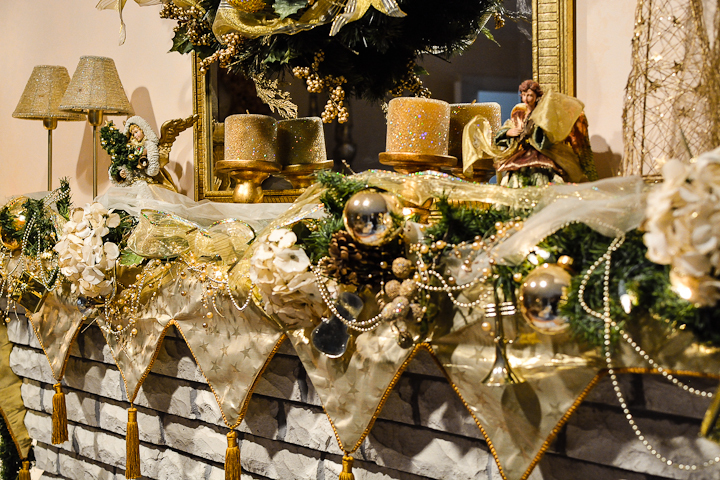 Each year I promise that I will not go overboard – curtain my decorating frenzy – embrace a minimalistic style – each year I break my promise! I can’t help myself as I begin opening my stored Christmas decorations- how can I not use all my beautiful treasures lovingly collected over the years. And so it begins…… My tradition the day after Thanksgiving is not to rise early for Black Friday,(nothing wrong with a day of retail therapy) I start my day watching the sun rise and decorating for Christmas. 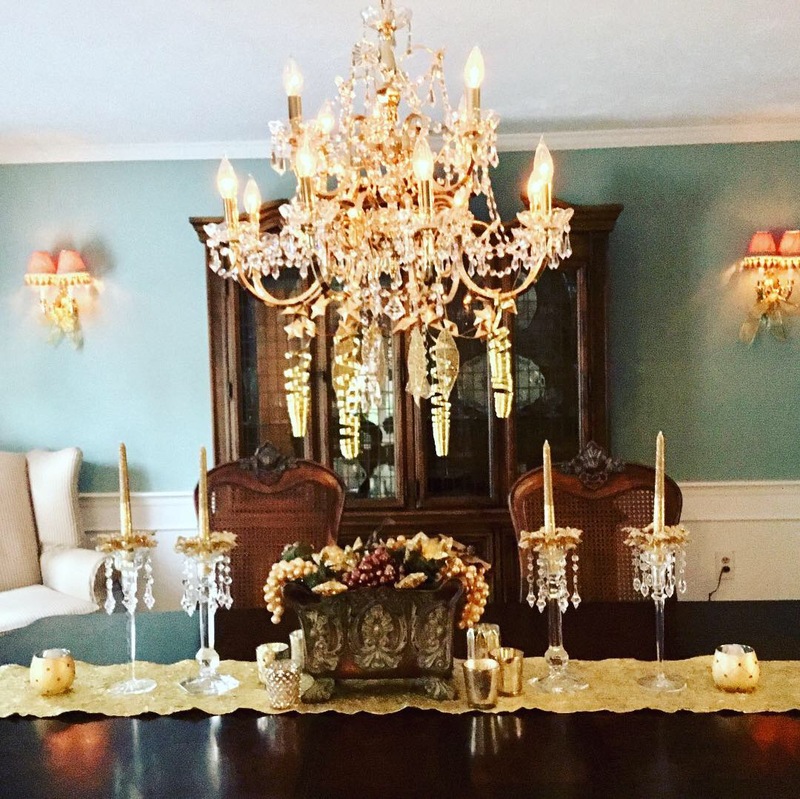 I begin in my dinning room with unpacking my Lenox Holiday china – gifts from my children – washing each piece I remember the Christmases when they were small their eyes filled with anticipation as I opened my special gift – then I remove all my regular china replacing with my Holiday China. Each year I get so many lovely complements on my china and I love mixing these pieces with my china, also Lenox. 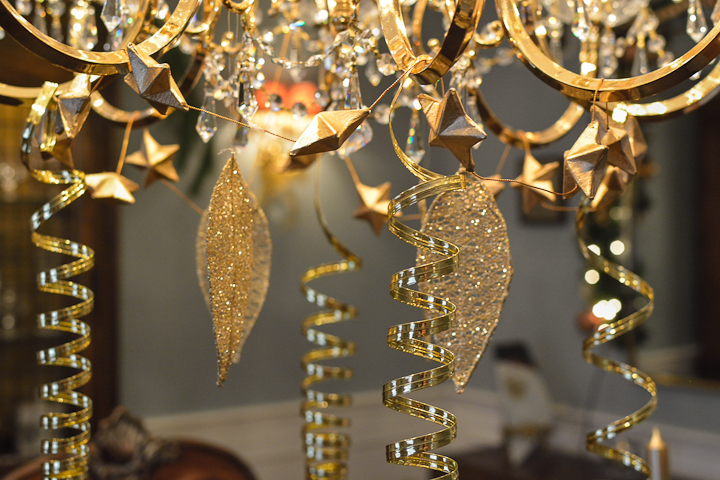 In the living room we go all out with gold decorations on the tree and throughout the room. I have been called a golden girl! I love all that glitters and is gold. 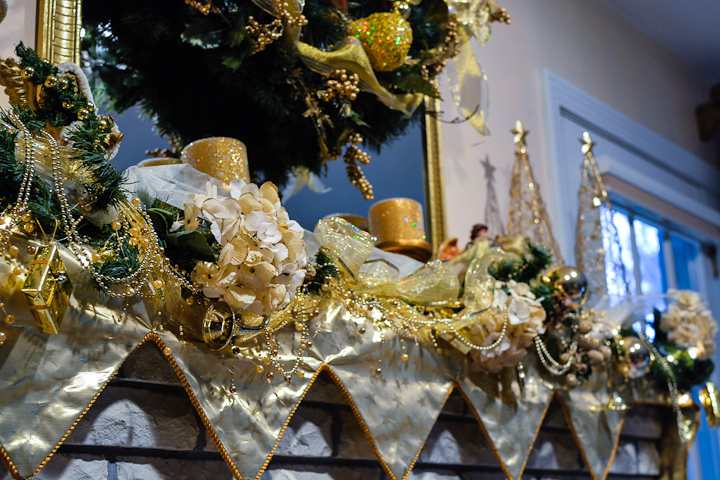 I can’t seem to add enough to this fireplace mantel! 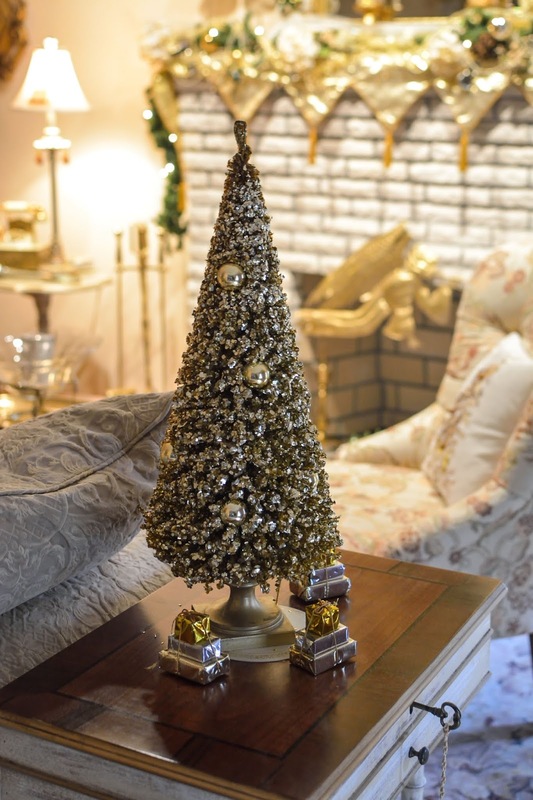 This little gold tree is my first Christmas decoration that my husband and I bought the first year we married. I was walking to work past a display shop where I saw this tree in the window. I went in and asked the owner if I could buy the tree. And although it was not a retail shop he sensed my excitement and sold me the tree for twenty dollars. 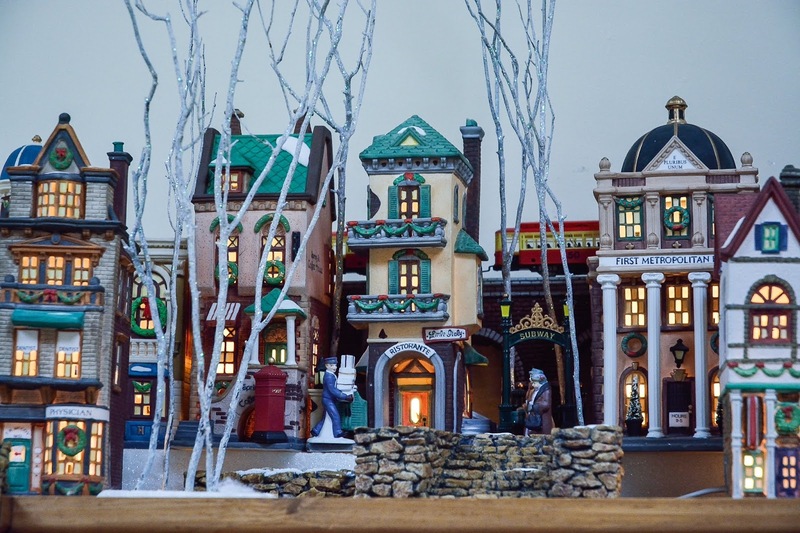 Years ago when my oldest son was two years old I made this ceramic Christmas Village. Years later his son, my oldest grandchild loves the village; each he spends hours playing with the village just like his father. 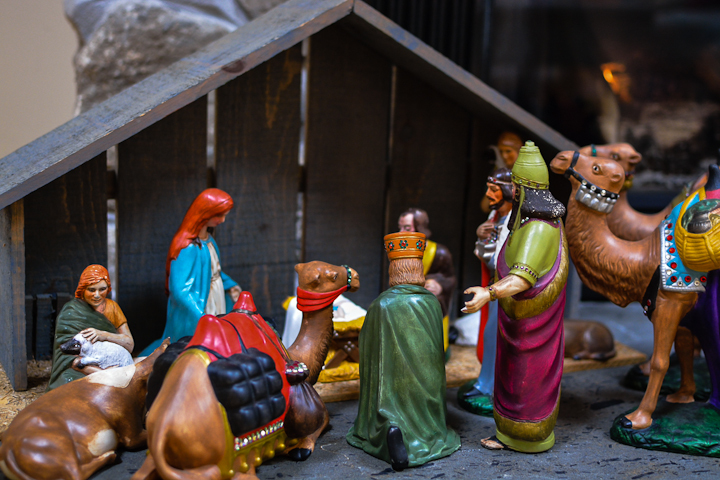 This nativity set was a gift from my mother the first year we were married. 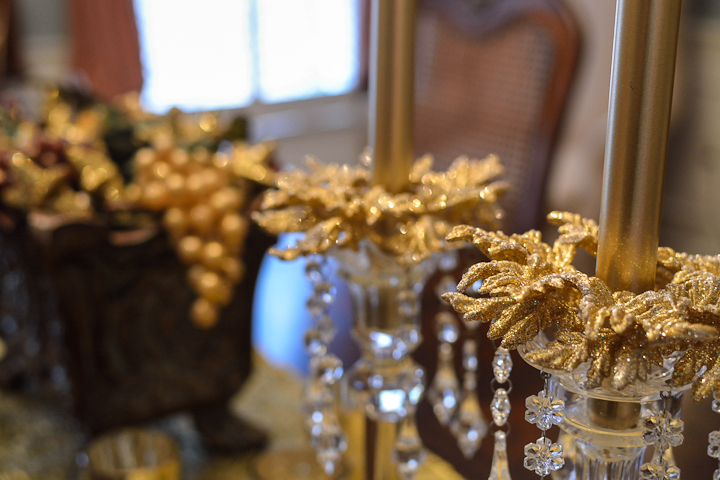 She lovingly made the figures in rich colors decorated with jewels – my style! My husband Chris many years ago started collection Department 56 Christmas in the City; his collection growing over the years with gift from our children. 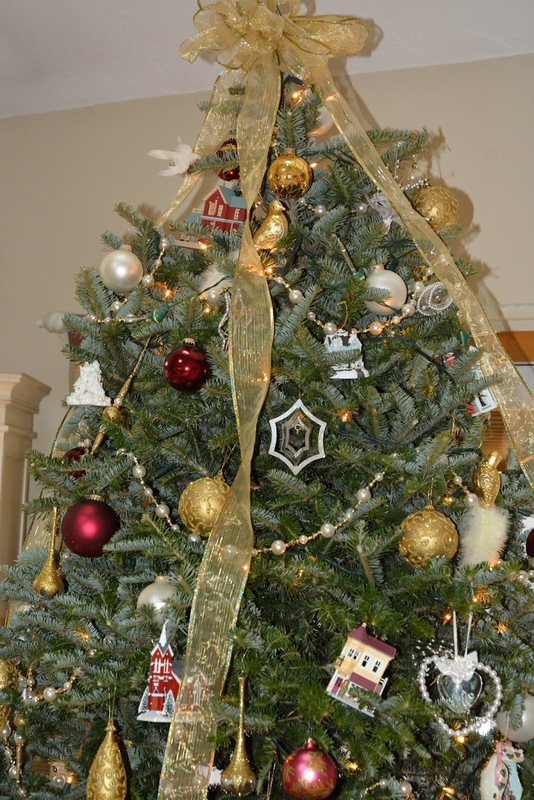 In our family room with a high celling we find the tallest tree on the lot and decorate with ornaments given to us by family and friends. 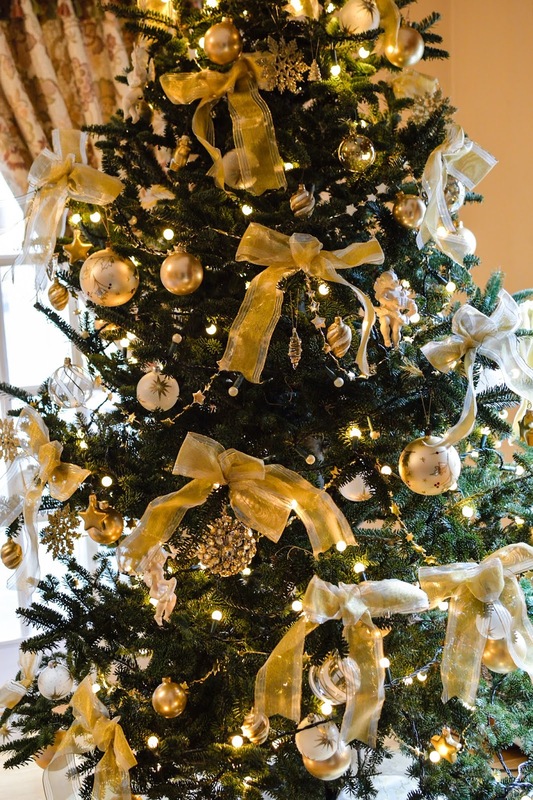 The room and the tree is simmering in deep burgundy and – did I say I love gold- gold! So many wonderful remembrances – memories our family cherishes and we now share with the next generation. 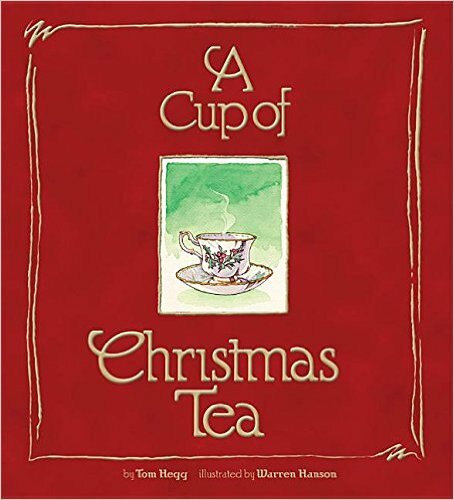 Once I’m finished I sit down with my Christmas cup of Tea china and book to read to my three grandchildren! So begins ‘The most wonderful time of the year’! I didn’t forget Christmas songs and carols. I’ll say that for another blog. P.S. 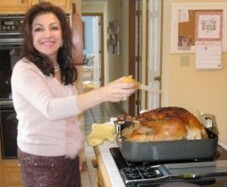 I’d love to hear about your family traditions! 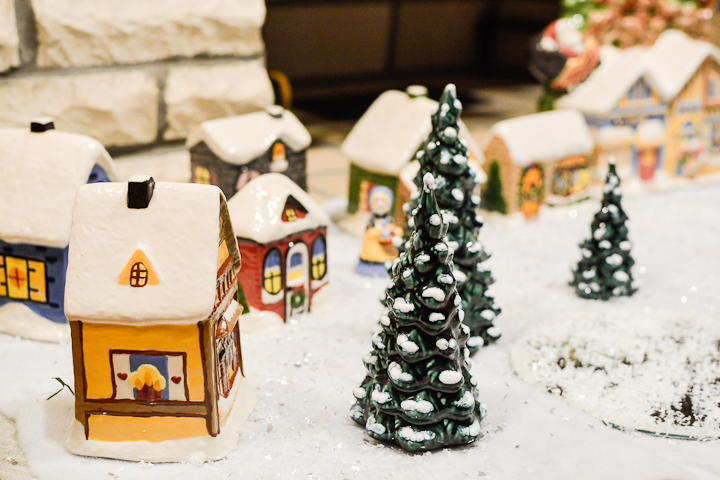 The Christmases of my childhood were filled with excitement waking up Christmas morning to find our living room magically transformed to a beautiful Christmas scene while we children were soundly sleeping in our beds. My parents would wait until after we went to bed to decorate the biggest tree my father could find, then lovingly, they wrapped all our gifts during the early morning hours getting no sleep before we excitedly woke to see if Santa had visited our home. We were never disappointed when we all flew into the living room to see Santa had been hard at work throughout the night. I can still feel my excitement stepping into the living room holding my breath in wonder seeing the beautiful Christmas tree decorated by my mother. She crafted her tree so each light, ornament, and how can I forget that tacky silver tinsel, placed strand by strand, was in perfect harmony. I adored seeing the tree for the first time each year! I learned from my parents that Christmas was a special time to share with family and friends as a steady stream of guests visited our home. One of my favorite Christmas memories happened on cold snowy Christmas morning when I was nine years old. We had just finished opening our presents when there was knock at our door. Opening the door my Father found a group of family friends who braved the snow covered roads – barely making it up the hill on our street – for a Christmas morning visit. My parents graciously welcomed their guests even at six o’clock in the morning with food and hot coffee. After our guest were fed, warmed, enjoying my parents famous hospitality, I played Christmas songs on the piano with everyone robustly singing along! That Christmas morning so long ago lives forever in my heart. As I became older I actively participated in helping my Mother bake copious amounts of cookies for family and friends. My important responsibility was making pizzelles with my grandmother’s cast iron pizzelle mold. My Mother made the dough from my grandmother’s special recipe. My important role was “cooking” the pizzelles. I put just the right amount of dough on the hot pizzelle mold then placed the mold on the stove burner making sure that I turned the mold over at just the right second to insure that each pizzelle was perfectly thin and crisp to my Mother’s exact specifications. All my cherished Christmas memories return to me each December as I begin preparing for my families holiday festivities. Christmas starts for me the day after Thanksgiving, not with shopping on black Friday, but with decorating. 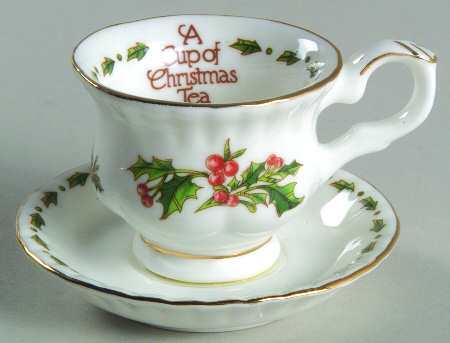 When our children were young their Christmas gifts to me were festive Lenox Christmas china for holiday entertaining. 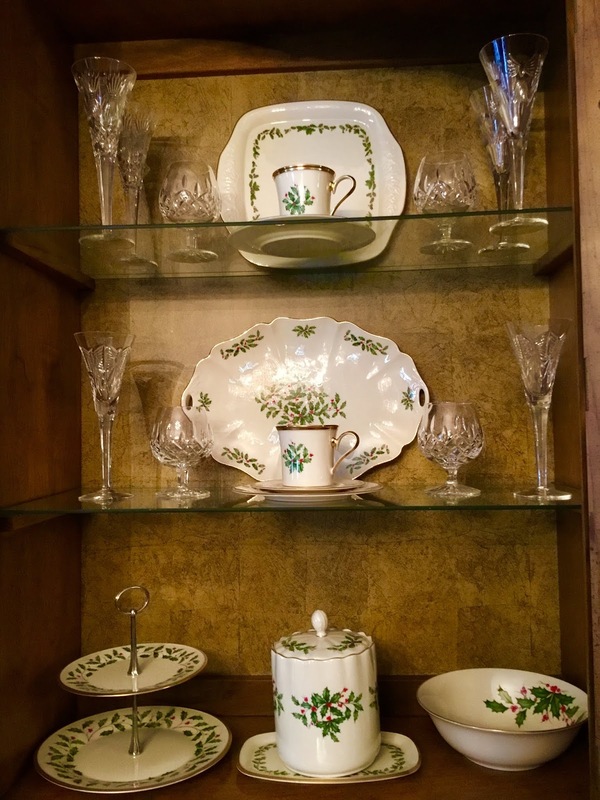 Every year my decorating starts with displaying my Christmas China in the dinning room china cabinet. 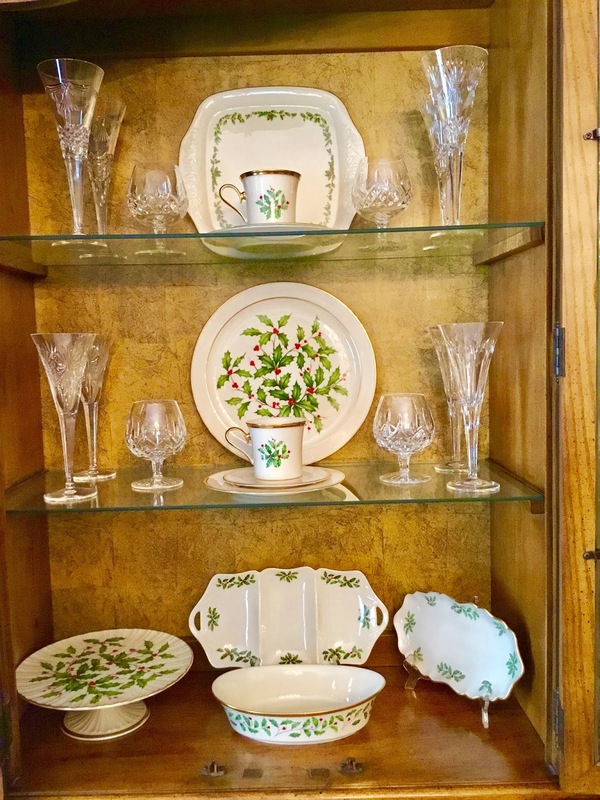 Seeing my Christmas China in the cabinet signals to our family the Christmas holiday season has begun. 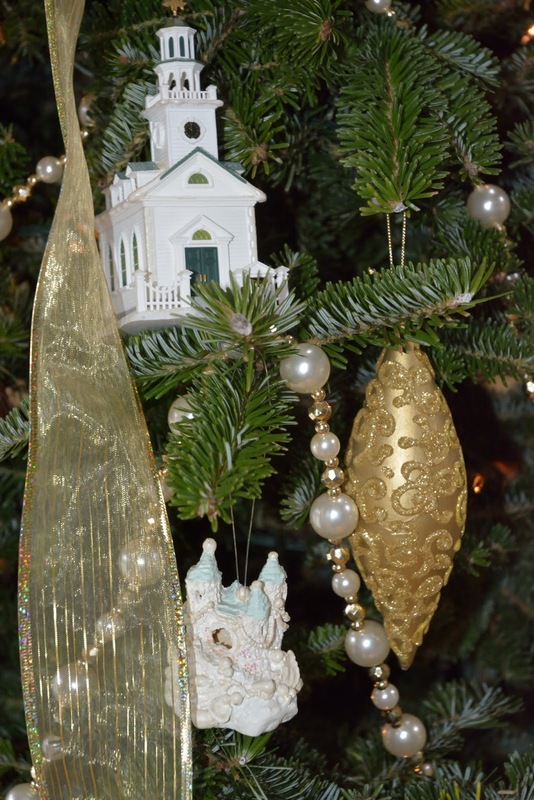 Now I decorate throughout our home with abandonment while memories of Christmases past live again flowing back to me as I lovingly unwrap so many special decorations including the beautiful nativity figurines that my mother made for me and my husband for our first Christmas. Once each room is throughly dressed in Christmas finery I can turn my full attention to baking Christmas cookies. I still make pizzelles just as I did so many years ago with my grandmother’s monogrammed mold, part of her trousseaux, using my family’s special recipe, perfectly thin and crisp as my mother taught me. My baking takes, according to my family, mythical proportions with the rumor circulating throughout our family that I actually bake thousands of cookies! Never having counted my cookies I only know that tin after tin magically appear lining the shelves of my pantry where pounds of flour, sugar, chocolate, nuts and preserves formerly resided. 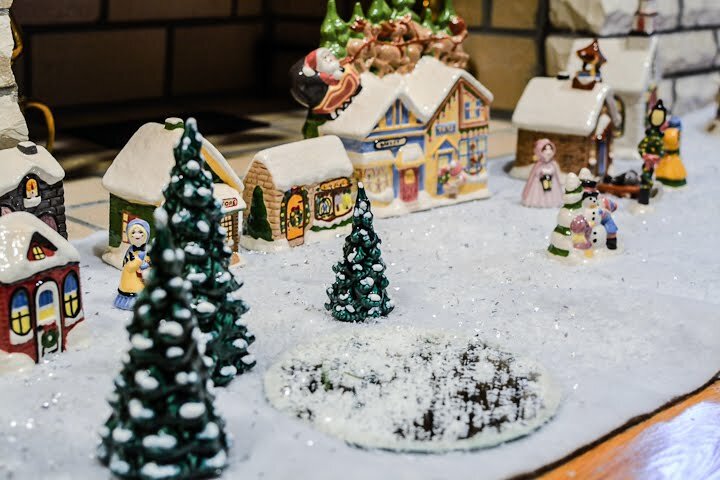 Each year my cookie assortment contains old favorites as well as new recipes that I can’t resist adding to my cookie collection. Trays of cookies greet guest as they visit with the remaindering cookies packed in holiday tins for family and friends near and far. Gathering around our large table, enjoying Christmas dinner, we toast with gratitude our good fortunes, especially that we are all together to celebrate another special Christmas. After our guests leave I sit by the fire savoring the day as memories of Christmas’s past play in my mind like a cherished old movie.